On Sunday the 18 March, the Theatre Royal Bury St Edmunds will host an evening with husband and wife, Claire Tomalin and Michael Frayn where both writers discuss their work and the similarities and differences between non-fiction and fiction. Polar opposites or rather more complex? Tomalin’s most recent successful work, ‘Charles Dickens a Life’, celebrating the centenary year of Dickens, and Frayn’s thought-provoking plays will prove to be an evening of stimulating reflection but also an insight into their lives together as writers. This unprecedented evening offers a unique opportunity to put your questions to two of our greatest writers. Thus, a perfect opportunity to put your questions to Dickens authority Claire Tomalin and get some books signed. In addition, the area of Bury St Edmunds is also of great interest for Dickens lovers, as the hotel depicted in his 'Pipwick Papers' is that of The Angel Hotel, a few steps away from our Theatre Royal. 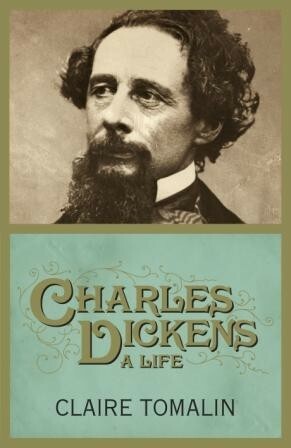 It is well known Dickens gave readings in the hotel's Athenaeum, and is the place where he wrote 'The Pickwick Papers'. Tickets cost £10-25 You can also come meet Claire and Michael for a post show reception on stage, £20. Box Office:01284 769 505.